Helena. Musik video for "Helena" directed Von Marc Webb. Wallpaper and background images in the My Chemical Romance club tagged: my chemical romance screencaps helena music video. 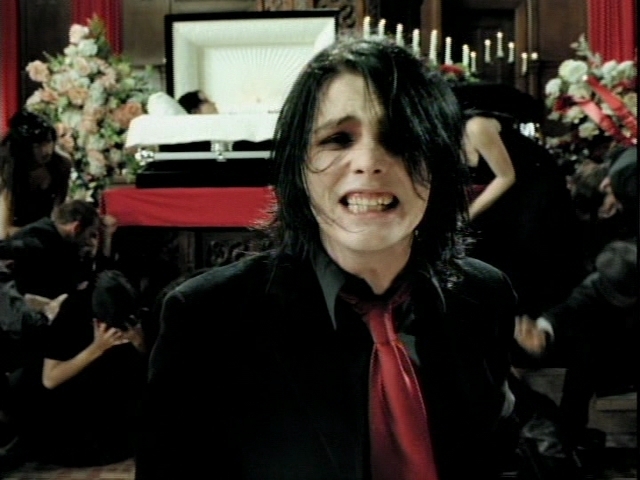 This My Chemical Romance Screencap contains geschäftsanzug and business-anzug. There might also be gut gekleidete person, anzug, hosenanzug, and pantsuit. Yo gabba gabba Gerard way&Frank iero ~!